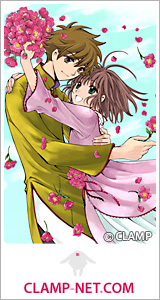 Here is the final “present” from CLAMP-NET.COM to celebrate the release of the 28th and final Tsubasa volume. Check out the first one here (featuring Fye and Kurogane) and the second one here (featuring Mokona=Modoki). I love the happy expressions on their faces. 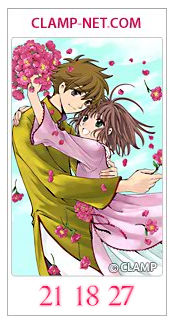 if that’s Real Syaoran, then finally, the guy is smiling ^_^ Oh and chibiyuuto, I started out reading only Tsubasa but when I found your blog, I began to collect Xholic as well. Just wanted to thank you for that! Aww, how cute. I love their expressions~. They seem so happy, especially Syaoran. Love it! They didn’t try very hard with this one did they? Exactly what I expected…it’s nowhere near as accomplished as the first one they released is it? Thanks for sharing and Merry Christmas! I love the picture of both SyS!! I used it for my own livejournal!! !